Barring natural disasters or other forces beyond our control, when human relationships are good, life is good. And while we may have all kinds of important relationships, perhaps the most important for ensuring that life is good—or even that it’s possible at all—is the crucial interaction that occurs between humanity and the planet we inhabit. The above article mainly had to do with interpersonal relationships and did not really discuss Earth Day per se, despite the headline (although it is clear that human behavior affects the planet). By the late 1960s, air and water pollution had already achieved serious environmental damage in the USA. Acid rain damaged forests, smog plagued cities, and suburban sprawl in its own paved-over way extended urban blight. Yet little appropriate national legislation existed. There was no Environmental Protection Agency (EPA), Clean Water Act, or Endangered Species Act. Land, rivers, and people — whether in city or countryside — were all dumped on. In 1969 that changed as two events grabbed the headlines: California’s pristine coast at Santa Barbara played host to a massive oil spill and Cleveland’s Cuyahoga River caught on fire. US Senator Gaylord Nelson, known from previous public service as Wisconsin’s “Conservation Governor,” flew back from Santa Barbara with an idea and on 22 April 1970, the first Earth Day was celebrated by 20 million Americans across the nation. 15 Then the LORD God took the man and put him in the garden of Eden to tend and keep it (Genesis 2:15). The concept of tending and keeping a garden suggests proper environmental stewardship. 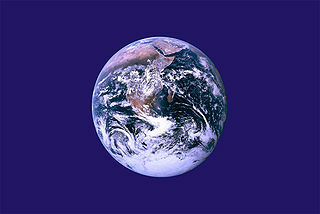 And should destroy those who destroy the earth (Revelation 11:18). Thus, God is not pleased when humans abuse the environment. And the time for God’s judgment is coming. It is even possible that the “beginning of sorrows” which includes “earthquakes in various places” has began. The time to turn to God is now, for whosoever will respond to God’s calling. Weather Blessings and Sorrows Are weather problems a warning? What should be done? When Will the Great Tribulation Begin? 2014, 2015, or 2016? Can the Great Tribulation begin today? What happens before the Great Tribulation in the “beginning of sorrows”? What happens in the Great Tribulation and the Day of the Lord? Is this the time of the Gentiles? When is the earliest that the Great Tribulation can begin? What is the Day of the Lord? Who are the 144,000? Here is a version of the article in the Spanish language: ¿Puede comenzar la Gran Tribulación en 2013 o 2014? ¿Es el Tiempo de los Gentiles? You can also see the English language sermon video: The Great Tribulation from the Mount of Olives. This entry was posted on Tuesday, April 22nd, 2014 at 12:01 am	and is filed under Religious News.